Who am I? Not sure how to best answer that question. I am many things to many people. 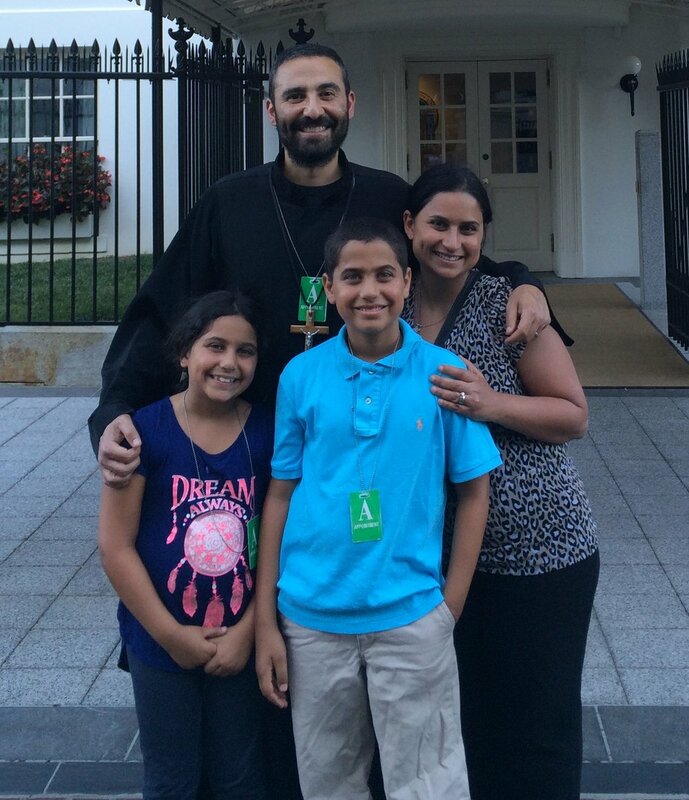 I am a priest in the Coptic Orthodox church – one of the oldest Christian faiths in the world. I serve at St. Timothy & St. Athanasius Church in Arlington, VA where we always aim to bring an ANCIENT FAITH to a MODERN WORLD. I am a proud father to the two best kids in the whole wide world – Michael and Elizabeth - and even more proud husband to Marianne – the best and most precious gift God ever gave me more than 15 years ago. I am an avid sports fan and I love competing at just about anything. Basketball, racquetball, softball, ping pong, Monopoly, Chutes & Ladders …you name it! If there’s a way to declare a winner and a loser, then I’m ready to play...and win :). But most of all, I am just an ordinary guy who has been extraordinarily blessed by God. I honestly can’t count all the good things that God has done for me and through me over the course of my life. My goal is to passionately pursue God's purpose for my life and help you do the same as well. 1. REAL – He wants to be an active part of your life, not just someone we visit on Sundays. Are You a Pillow or a Sword? How Do You Sink a Mighty Ship? I Can’t Believe It’s Been 3 Years!